Dance the dance inside of you. About a year ago, Claire said that to her Grandma. Much larger life takeaways can be gleaned from those words, but today I’m remembering them in their most literal sense. The girls signed up for dance again this spring. On the first day, before we got there, Claire was nervous. She strongly voiced her opposition the entire car ride there. But we convinced her that she’d have a great time. And she did. She wanted to go back each week until about mid-way through the semester. That night, the teacher asked them to find a partner. Naturally, she and Grace found each other. They did some joint leaps and then the teacher asked them to find a different partner. She reached for Grace’s hand as Grace hopped up to find a different partner. And then I saw the look on her face and it struck deep into my heart. A look of panic. My little girl who will approach anyone on the street and ask them their life story, had a moment of crippling timidity. She looked side-to-side and I watched as the fear of not having a partner spread through her. She couldn’t move, but she didn’t want to be partner-less, either. After that night, she told me each week she didn’t like dance and didn’t want to go. But we kept going. And she kept learning her positions and her dance. It was the week of the recital and she was telling me daily she wouldn’t be dancing in it. We talked round and round, but she held tight to her belief that she wasn't going. Shortly before the dress rehearsal, her anxiety peaked. Scott sat down with her and talked about being nervous and how it happens to everyone. He told stories of his own anxiety. And by the time we left for the rehearsal, her demeanor had visibly changed. She did great at the rehearsal and was no longer nervous for the recital that night. The recital was a hit — with nearly every member of their family in the audience watching as they showed off what they learned this semester. The best part, though, were the days following the recital. She wore her dance shoes constantly and kept doing the moves. “Mom, watch this! Look what I can do!” The pride she had in herself — especially after weeks of demanding to quit dance altogether — was amazing to watch. But what about Grace, you wonder? 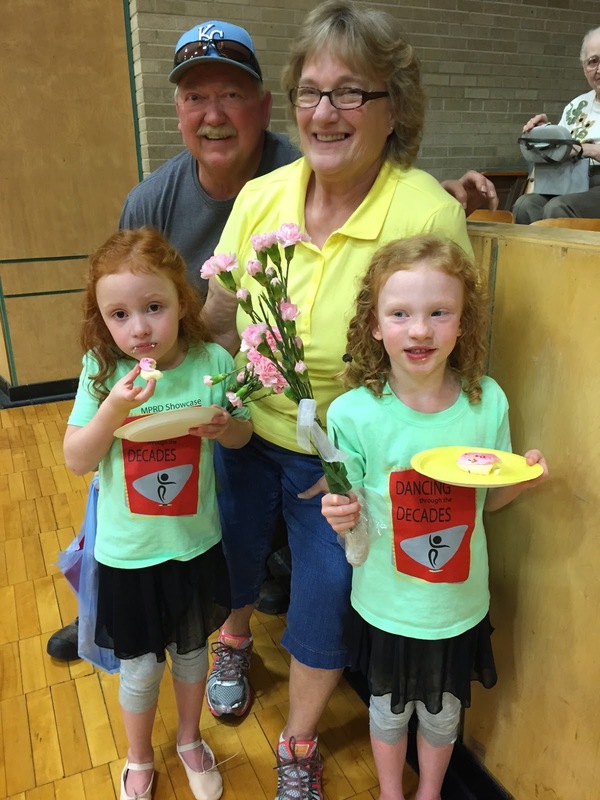 She showed no signs of nerves — she boldly walked in that first day, maintained focus during each class and was bubbling with excitement the day of the recital. On and off the dance floor, she is able to be herself with an ease that my 16-year-old self envies. This was a good lesson for Claire, but an even better lesson for me. I spent much of the spring wondering if dance just wasn’t her thing, but the more I reflect, the more I realize her anxiety was preventing her from truly enjoying it. Once she conquered that mountain, she was set free. She was finally dancing the dance inside her.